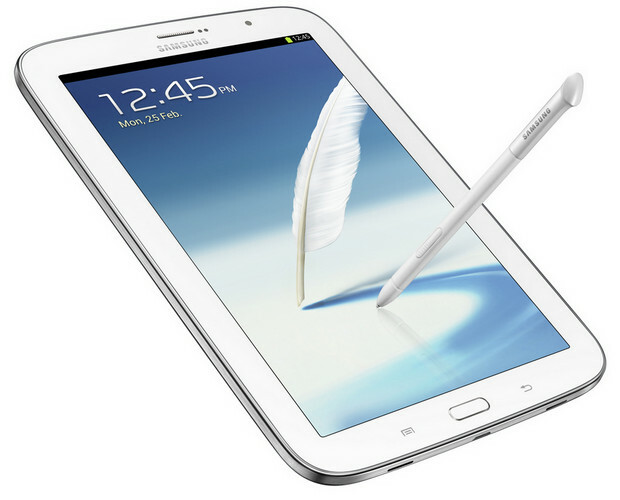 Two days ahead of Mobile World Congress 2013, Samsung has announced the newest member of their successful Galaxy Note family. 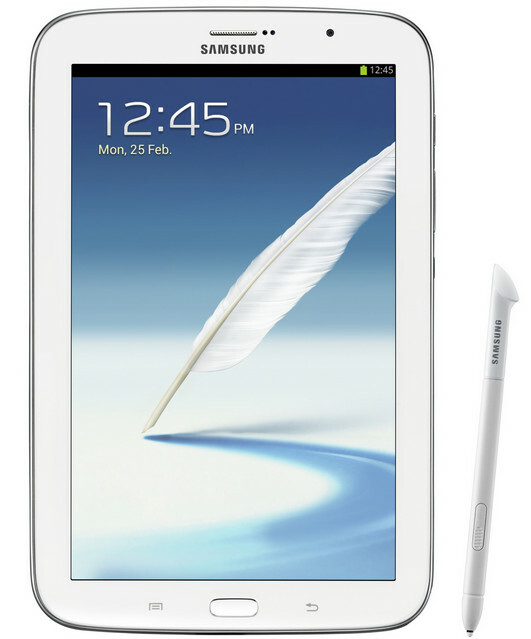 the Galaxy Note 8.0 – a tablet that can make phone calls. The 8 inch tablet looks to put real heat on the iPad Mini, coming with an 8-inch WXGA (1280×800, 189 ppi) resolution display, backed by a 1.6GHz A9 quad-core processor and 2GB RAM. The Note’s display is noticeably superior to the iPad mini’s 1,024×768-pixel resolution (163 ppi). The Note is available in 16GB or 32GB flavours, with up to 64GB extra storage available via a microSD expansion card slot. Powered by Android 4.1.2 Jelly Bean, the Galaxy Note 8.0 has two cameras, a rear facing 5-megapixel camera and front loaded 1.3-megapixel camera. There’s a large 4600 mAh battery onboard, and the tablet comes with an S Pen stylus and a slew of Samsung supporting apps, including S Note, S Planner, email (with hand-writing integration), Quick Command, Easy Clip, Photo Note, and Paper Artist. Interestingly the tablet can make calls. although we think the idea is that you make the calls via a Bluetooth headset rather than walk about with a mahoosive tablet slammed on the side of your noggin. The Galaxy features 3G with speeds up to 21Mbps, and there’ll also be 4G and wi-fi only versions. There’s no news on availability or pricing yet, but we expect more info shortly. Here’s a quick hands on video showing some neat features like the ‘air view’ and multi-tasking.